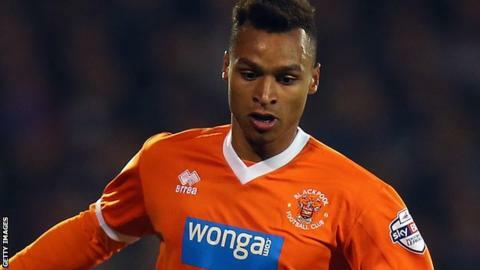 Blackpool have ended Norwich winger Jacob Murphy's loan spell early after a controversial post on social media. The 19-year-old has apologised for the image caption which said "We are going to lose... Again" before their match at Sheffield Wednesday on Boxing Day. Blackpool, who are bottom of the Championship with only 14 points from 24 games and nine points below Brighton in 21st, lost the game 1-0. Murphy was due to remain with the Seasiders until 2 February. "Jacob is a talented player with a bright future ahead of him and his recent actions should not detract from that," said manager Lee Clark. "However, he realises that he made an error of judgement and understands why we have come to this decision. "The players and the team need to be fully focused on our fight to stay in the Championship."